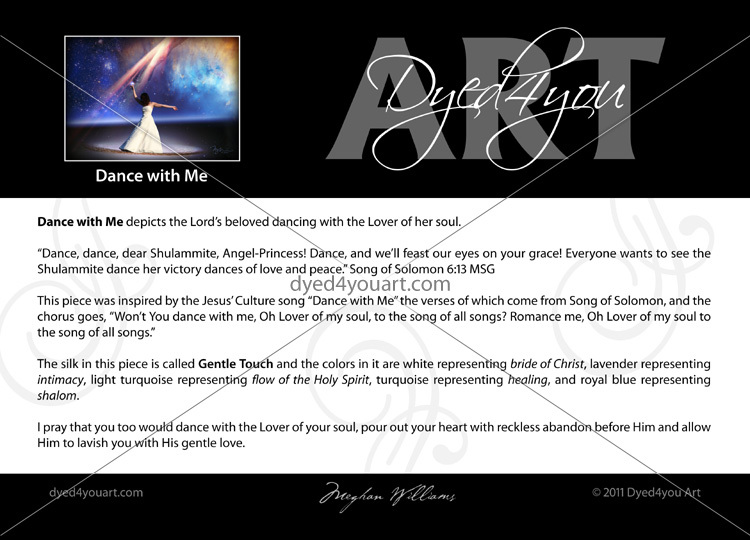 Dance with Me depicts the Lord’s beloved dancing with the Lover of her soul. 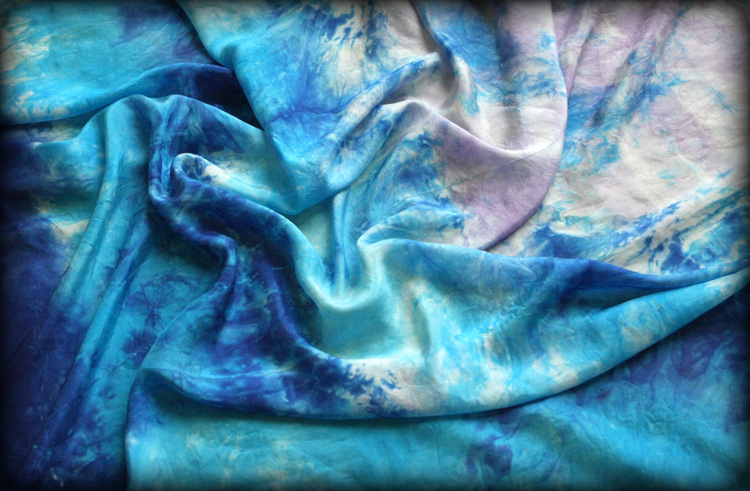 The silk in this piece is called Gentle Touch and the colors in it are white representing bride of Christ, lavender representing intimacy, light turquoise representing flow of the Holy Spirit, turquoise representing healing, and royal blue representing shalom. 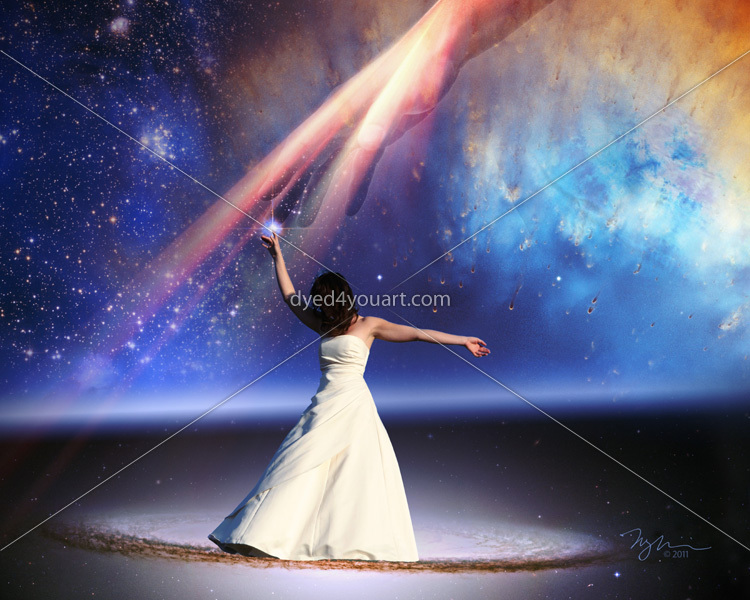 I pray that you too would dance with the Lover of your soul, pour out your heart with reckless abandon before Him and allow Him to lavish you with His gentle love. So beautiful! I’ve been so taken with the Northern Light pictures the last few weeks and this evokes that same majestic feeling. Gives me shivers to think that we are the object of His desire. oh! MEGHAN!!! I REALLY LOVE THIS ONE! MY WORDS AND HEART IN YOUR ART!!! I AM IN AGREEMENT!!! BLESS YOU SISTER!!! I really love this picture; it is so beautiful. beautiful was the same word that came to my mind! It is an awesome feeling when you dance with The Lover of your Soul. It really does become just you and Him… with beauty that shines, twinkles and radiates! Wow! MY GOODNESS!!!!! I hear that song Dance With Me…in my head. So beautiful!!! I just LOVE LOVE LOVE this. This song has been a favorite of mine since I first heard it and the art work and silk are spectacular. This is definately going on my wish list. TOP NOTCH – OFF THE HOOK – BEAUTIFUL – just makes me shiver!!!! I don’t know what to say except as I read this I felt such love, peace and joy of the Lord over me. I am with Amanda.. 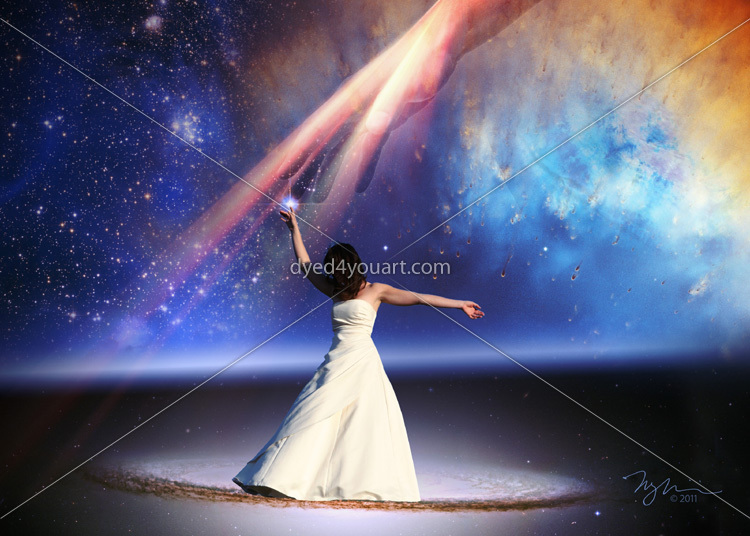 I too am crying.. What Joy and Love the Lord has for us, to Dance with him…WOW Love this song. 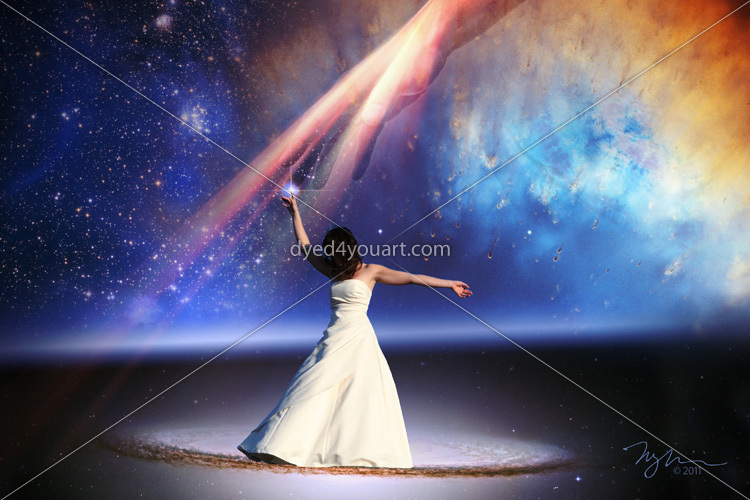 this captures that place I go to in worship, that place where I am dancing with the Lord and there are veils……………….. this captures my secret place…………..
Once had a vision of dancing with Jesus and was wearing a dress exactly like this one. I was on my face in corporate prayer and just started dancing with Him. Or, He with me. It was the first time I waltzed or some kind of ballroom dancing. It was supernatural to dance in His arms!